So, it looks like there will be two interactive parts in this chapter -- one about the train, and the other about the train ride. a Lock --in the place where in prior screen shots it says "Shop Open." Gringotts -- isn't there supposed to be a game here? riding the carts? Or am I confusing with the theme park? :-) -- could also imply that you earn galleons during the exploration and need a place to store your loot. Great Hall -- a place to share your fanfiction and fanart? Common Room --maybe a place to organize smaller study/reading groups or games? Spells -- a game for casting spells (as reported in Time)? Potions -- a game for mixing potions (as reported in Time)? Trunk -- a place to keep mementos/prizes you've gained? Friends -- the social media aspect? I'll start listing beside each possibilities for what it represents. I'm very curious about that owl with the number beside his head. I wonder if that number represents a level you progress through, or special items you have collected, or what? What do you think? Also, did you notice the sprig of ivy at the bottom right of the sign? We know already that in Diagon Alley we get to have our wand choose us. I wonder if that ivy is decoration for everyone, or if it changes depending on the wood of your wand? We recently concluded a series of posts analyzing what JK Rowling did "write" in her first chapter that launched her series to such high flights of success. However, I now want to take a stroll through the Dark Side. Fans reading the Harry Potter series, even those deeply passionate about the books, will occasionally notice something that doesn't quite make sense to them. It seems JKR didn't plot her timeline with the pinpoint accuracy (er, obsession) as some of her fans, or indeed The Harry Potter Lexicon. And her memory wasn't perfect. Londoners got confused when reading about Harry's passage through Platform 9 3/4 because when she wrote King's Cross station, she was actually envisioning the station at Euston. Fans will squabble over details in the first chapter such as how the Potter home was destroyed when Avada Kedavra is not supposed to leave a mark, or why Dumbledore suggested that McGonagall refer to He-Who-Should-Not-Be-Named with his proper name of Voldemort rather than Tom Riddle. But, as writers, we know that these continuity errors are incredibly hard to keep track of within one book, let alone a series of seven massive tomes that have not all been written when the first are coming out. As a writer, the "mistakes" I'm most interested in analyzing from JKR concern not her continuity errors, or even some of the larger picture elements, such as whether it makes sense for this band of young kids to get past a labyrinth of booby traps supposedly concocted by the most powerful wizards of the day. What I want to examine are JKR's techniques...especially those methods we've been told are taboo from the writing authorities. Yes, chapter one of book one is basically a prologue. "The Boy Who Lived" takes place ten years before the story and serves to establish setting and backstory. Prologue, right? How many of us have heard from The Authorities not to write prologues, that editors and agents wince when they see them, and then usually skip them or reject on that point alone. And here is the phenomenal bestselling author starting out with one. I suspect very strongly that early on in The Boy Who Lived's life, this chapter one was named "Prologue," and that it got rechristened when some wise writing friend, agent, or editor alerted JKR to the mistake which she had made. But, this prologue works. And it works for her because the reader needs this dip into the magical world and this hint of the mysteries to come before delving fully into the 11-year-old's life in the cupboard under the stairs. 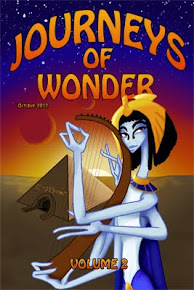 Today we are fortunate to have Angela J Kulig as our guest blogger. Angela has a wicked sense of humor, writes and lives in Las Vegas, and blogs at Angela Write Now. Plus, the best thing about her, as you can tell by her post below, she's been a Harry Potter fan for many years! Please help me in welcoming Angela to Harry Potter for Writers! As writers and Harry Potter fans, we know that Harry Potter is not just a book. Is the moon just a rock? Is The Mona Lisa just a painting? No way man, the Moon and The Mona Lisa mean things, stand for things, and so does Harry Potter. Few collections of words have ever inspired a generation to read, but that is exactly what Harry did. For me, Harry Potter got me to read ‘kid’ books again, and that was the single best thing that could have ever happened. I shudder as I think about the books I never would have written if I only wrote books for grownups. The first book in the series came out in the United States in 1998 just a few days shy of my fifteenth birthday, but I was already way too cool for kid’s books. I was into the Classics, and romance novels by Daniel Steel. By some miracle I accidentally stumbled into the book when Chamber of Secrets had just been released. I had exactly five minutes in the bookstore (because they still existed back then) to select and buy a book. Otherwise, I’d have nothing to read while on a really horrendous car trip with the parents. Lucky for me, The Sorcerer’s Stone was on an end cap. By the time we had made the drive from Houston to San Antonio I was done, and the first stop at Rivercenter Mall was to buy the sequel. The Death of a Lit Snob. I remember vividly scoffing at the other students in my English classes in junior high as they read Goosebumps while I read Tom Sawyer, and The Giver. I thought once you graduated into adult books you stayed there, and never went back. I was proud of the post college reading level I scored on some random test in the 7th grade. I thought that meant I should be reading post college level books, and that everything else was beneath me. Can you believe people still think that way? I have been amazed at the number of writers, even writers who write middle grade and young adult books, who have not, and often blatantly refuse to read Harry Potter. Let’s go over some of the popular excuses. Let’s take them on individually. Ever seen a kid refuse to eat something because they don’t like it? They don’t like it, because they haven’t tried it, and that is exactly what the answer says to me. If you read the book, then you would know what the fuss was about. Harry Potter is not a fad, there is a reason it has staying power and that is what makes it truly great. The second answer is given by those I like to refer to as the nonconformist conformist. People who are just too cool or well read to partake in Harry. You run across them a lot in the world if literary fiction. I don’t know what is worse, the people who won’t read Harry Potter because they claim it won’t help them with their genre, or the people who write middle grade and young adult who refuse to read it because they think they don’t have to. The truth of the matter is, most people who will read a multitude of books in their lifetime have read Harry. That means, as a writer, it is possibly the best and worst work to be compared to. 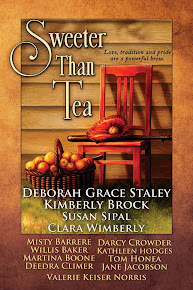 The love this book series enjoys has set the bar in which other books will be judged to a virtually unachievable height. Ignoring it, or claiming that you are above such things, will only come back to haunt you in the end. Friends don’t let friends shun Harry Potter. If you ever hope to earn money from your writing, it is your job to know your market. Chances are good that no matter what genre you write, people in your audience will have read Harry. Can your work measure up to the magic? Thank you, Angela! You can find Angela regularly chatting on Twitter at @AngelaKulig as well as conducting random writing tweet-chats at #writingatgunpoint and #ninjachat. I hope to continue more guest post columns on a regular basis. If you'd like to be a guest on this blog, or you volunteered to do one before and we haven't yet set up a time, please drop me an e-mail at SPSipal AT gmail DOT com! We hear a lot about Voice in the business of writing and how every editor is looking for fresh, new voices. It’s easy to get confused and think this means simply a sarcastic way of delivering our words, as is common in chick-lit, something hip or flippant as is often true in YA. Or maybe Voice is dark and angsty as in romantic suspense, paranormal, or gothic. But I believe this explanation only scratches the surface of Voice. Voice goes much deeper than the style of how words are strung together on paper or screen. Voice reflects what you believe, what you know, what you understand, what you have experienced in life. 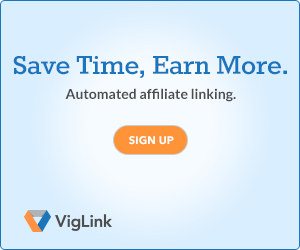 It reflects where you choose to put enormous amounts of your time and energy. You may be entertained by reading from a wide variety of books that take up a few hours of your day. But when it comes to spending several months of your life writing one, it’s going to reflect who YOU are deep inside. Your cares and concerns, your beliefs, and your passions. Your Voice is You. Voice reflects your writer’s soul. That’s why there’s such a strong spiritual aspect to writing for so many of us. We’re not only trying to make a living, or even better, communicate with our readers and our world. We’re expanding and enriching our souls. And that’s why Voice cannot be duplicated. No two souls are alike, and every soul has something unique to contribute. Harry Potter did not spring out of just anywhere. He sprang out of JK Rowling's life. Her life-long concern for equality and justice are evident in the book from chapter 1 as the wizarding world celebrates the end of a reign of terror by the survival of a lowly babe. Her abhorrence of intolerance is threaded from the beginning with the Dursleys' disregard for Petunia's own sister and her fear of the influence her nephew could have on her son's life. Jo's belief in imagination and her disdain for the petty populate her world with giant wizards on flying motorbikes and long-neck women who spy on their neighbors. Her sense of whimsy and her delightful humor are reflected in a cat sitting on a corner reading a map and the unappreciated hug Mr. Dursley receives from an overly-enthusiastic wizard on the street. In this first chapter, we also see the dark tone which JKR became more known for as the series progressed. But could you begin a children's story with anything darker than a child being orphaned having survived a murder attempt himself? She also laces her story with her love of mythological references by naming Sirius after the Star of Isis of ancient Egypt and marking Harry with the thunderbolt of Zeus -- a weapon he will only learn how to use at the end. Dumbledore bowed his head. Professor McGonagall gasped. The highlighted verbs carry a precise punch. It would not have nearly the Voice if she'd said: Hagrid got onto the motorbike and turned the engine on. He was tall, thin and very old, judging by the silver of his hair and beard, which were both long enough to tuck into his belt. He was wearing long robes, a purple cloak which swept the ground and high-heeled, buckled boots. His blue eyes were light, bright and sparkling behind half-moon spectacles and his nose was very long and crooked, as though it had been broken at least twice. Don't you want to know how that long, crooked nose had been broken twice? And can't you see those half-moon spectacles and his sparkling eyes? And I adore those "high-heeled, buckled boots"! 3) Structure -- From the Dursley home, to Vernon's work, to his questioning of Petunia regarding her sister, to the wizarding invasion of Privet Drive, JKR takes the reader from the mundane to the magical, all along threading through the build-up of the magical world and the mystery of what has set the wizarding world in collision with the Muggle. She leaves us with a most unusual babe left on a doorstep and the knowledge that he will not be welcomed. 4) POV -- This first chapter is different in POV than the rest of Harry Potter because Harry plays no active role in it. He's brought in as a sleeping babe only near the end. The main POV for this beginning chapter is omniscient narrator, though she gets into Vernon's head the most. That choice of omniscient allows her to present her beginning with a wide-angle world-view as she sets up building her fantastic new world. What fires your passion, both for things you love and those you hate? What do you believe in, care for the most? Where do your wild flights of imagination take you to wander? What experiences in life can you channel into your writing to create a more vibrant world? In what type of story do you want to spend your next several months, if not years? And whose hearts do you really want to touch? I'd love to hear about your voice, though for some of you, it comes across strongly, even in your blog and Twitter feed -- as it should! Have any of you wandered through different types of stories in search of your true voice? 6) voice - right here! The site launches on July 31 (Mr. Potter's birthday), when one million fans can compete in an online challenge to gain early access. 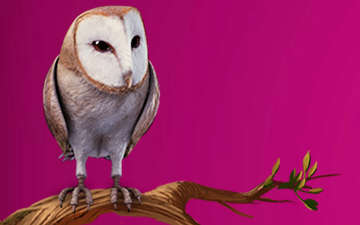 Pottermore opens its gates to the masses for free on October 1, 2011. But what is the site like? Those hoping for a sophisticated first-person odyssey may be disappointed. Pottermore isn't a game: it's a series of illustrated environments, themed around “moments” from Harry Potter and the Sorcerer's Stone (material from the other novels will be added with time). The primary attraction for Potterphiles is access to arcana Rowling's been squirreling away in her attic. Want to know why Harry's uncle is called Vernon Dursley? Or learn about Prof. Minerva McGonagal's early heartbreak? You can find it on the site, although you may have to click around a bit to uncover the hidden treasures. 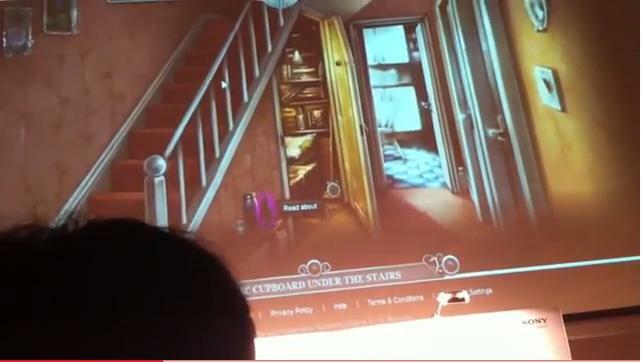 Users start out at Privet Drive, where they can explore Harry's cupboard under the stairs (replete with scampering spiders) before moving on to Platform 9 ¾, the Hogwarts Express, Diagon Alley and Gringotts. Each new witch or wizard gets a personalized trunk (where they can store their chocolate frog cards), 175 galleons and a Hogwarts shopping list (don't forget your crystal phials!) Then they're directed to Ollivander's, where they are asked a series of questions (eye color? Favorite artifact?) in order that their wand can choose them. With personalized wand in hand, users continue on to Hogwarts School of Witchcraft and Wizardry itself, where, wearing the sorting hat, they are sorted into a House via a unique series of character testing questions written by Rowling herself. Some test the super-ego: would you snitch on a fellow wizard pupil who used a cheating quill? Others probe the id: which do you choose, forests or rivers? (Those who are not placed in Gryffindor get access to special material from The Sorcerer's Stone as compensation.) Once ensconsed in a house common room, users can read the secret lore of Ravenclaw or Hufflepuff, meet housemates, and earn housepoints through wizard duels and mixing potions to compete for the House Cup. Rowling is also encouraging user contributions to Pottermore. Users can jabber on the site about the benefits of dragon heartstring vs. Thestral tail hair wand cores to their heart's delight. Fans can even submit art. Given the boxes of material gathering dust in her house, Rowling hasn't ruled out the possibility of creating a Harry Potter encyclopedia. She says she has “no plans” for another Harry Potter book. From now on, Harry Potter will live in the digital age. Talk about magic. 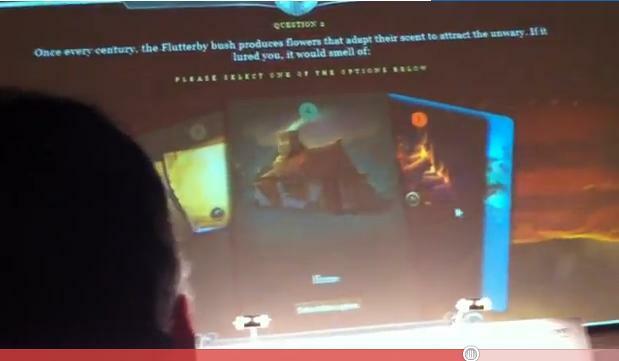 Update 6/26: Thanks to alert blog follower Roxanne, I've now viewed a leaked video from inside the press conference which includes footage of the Pottermore site in use! I'm ecstatic to see that not only will the website include more backstory and worldbuilding info, but will also include JK Rowling's thoughts behind her choices, which includes the possibility for writing craft decisions and mythological subtext sources! I'm inserting screen shots of certain pictures below to help analyze what is to come. You can watch the video yourself by following the link Roxanne provided in her comment below. And thank you, Roxanne! 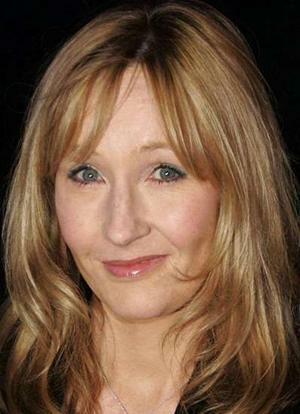 JK Rowling has stated in all the media coverage that she will be releasing some of the information regarding Harry Potter that she's hoarded for years into Pottermore. She says she's already written 18,000 words, with much more to come. The question this reader and writer most wants answered right now, is what types of information will be included? From the bits that have been released, character backstory and some background on worldbuilding will definitely be covered. She says there's quite an extensive background on McGonagall for example. But will she cover her writing process, her extensive research, her many allusions through subtext? And to get things started out, I'm going to put my own wish list together. Mind you, I'm a writer who has studied JKR's books for years, mining them for entertaining methods to learn the craft and business of writing. So, most of what I want to know concerns her writing process. In fact, I did an open letter last fall that covers a lot of these questions. However, I'm also deeply interested in her use of mythology, especially Egyptian, throughout the series, and would absolutely die of bliss :-) if she covered some of the subtext and sources of her mythological allusions. 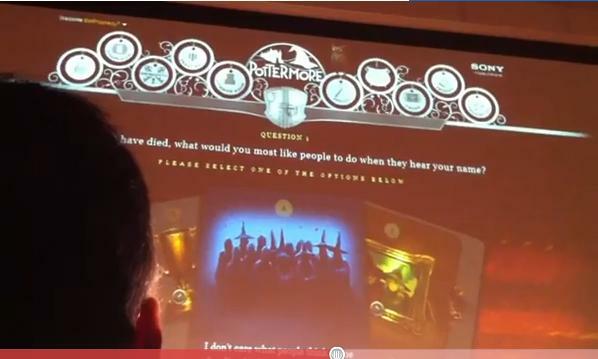 Update: Here's a few screen caps which show Pottermore in action at the press conference. Here's the next set of screen caps from the press conference which shows the sorting. Note, I did not include all the screens that were shown or the answers that led to Gryffindor -- the video did not show them all either. But, we want to have a surprise, don't we? We don't want to know the answers beforehand and trick the system! What this set of images showed was how a new student to Pottermore will be sorted. You will be asked a series of at least 6 questions (they only showed a couple, but one was referred to as 6), where you have to click from the available possible answers. At the end, you get your house entry! Next to each entry, I'm putting initials of who asked it. Let's get cracking. Let's see how long we can get this scroll of parchment. But please, be sure you're asking a question that's not already been answered. And if I put one up that has been, please direct me to the place where the answer is. P.S. - Need a professional edit on your manuscript before you submit or publish direct? Be sure to check out my services! Who Really Cares About Harry? Continuing in our First Chapter Series of posts on the beginning of Harry Potter, today we're talking about stakes. Who really cares about what happens to this young boy? What's at stake for him in the coming story? These are questions which must be answered from the beginning. And they must be presented in such a way as to make your reader identify with and care about what happens to your main character. Otherwise, why bother to continue? He's off to live with an aunt an uncle who certainly don't want him, but have also been shown to be snoopy, petty, and intolerant. They are also the exact opposite of Harry's true family. What happens to Harry affects a large community around him. We're shown this from the very beginning with the celebration of the wizarding world because of Harry's survival and Lord Voldemort's departure. With these three set-ups, JKR gives us some heart-tugging backstory, hints of the upcoming conflict, and the wider view of how Harry's situation will greatly affect a larger community around him -- all components that will entice a reader to pluck down her time and money to invest in the upcoming story. The heart of grabbing your reader's attention at the beginning of your story is to make them care. And the catalyst that sparks care is what's at stake. Something has to be at risk for your hero and his community or who really cares to read more? For the reader to care, there must be something urgent at stake to a sympathetic character, and this will be the result of significant conflict. Or to reverse this for the writer: to make your reader care, you must start with emotionally true conflict that increases the stakes for your hero and those around him. If you're a Harry Potter fan like I am, then you're probably feeling a bit drained right now. The last few days have brought waves of mounting excitement coupled with the fear of possible disappointment as if the Chudley Cannons had made it to the World Quidditch Cup. But not only were we anticipating, we were participating. It was as if Jo had twirled her time-turner and returned many of us to the last days before July 21, 2007 when we feverishly scoured her work for clues as to what was forthcoming, sharing possible finds with each other, building our own theories. That's always been the beauty of Jo's work -- reader involvement. Like no other author I know of, she understands how to fully engage her reader, from picking out which house they would be sorted into, to scouring old myths in the hunt for possible clues to the Potter plots. We engage because she weaves mystery into everything she does, and leaves a delightfully hidden trail of clues to follow. She plays with her reader, and we join enthusiastically in with her game. And so today's announcement arrived. We waited online together with collective baited breath. As one, we watched the video presentation with its fanciful animated words on a page coming to life. And then we rushed in unison to click the link on the partially opened site to register our e-mail, hoping that come Harry and Jo's birthday, we could apply for the golden early entrance ticket. Afterward, some were elated, even with the malfunctioning website. Others disappointed that it was not what they'd hoped for. Some gobbled up every news bit that was released like a hungry hippogriff gulping down tasty, dead ferrets. Others meandered on to their regular lives, let down that there's still a long wait to know what Pottermore truly is...to enter those Hogwarty gates. The final tidbit Jo left with us was her direction to "follow the owl," with a lone owl shadow soaring over her printed page, across the scene in Philosopher's Stone of Harry entering the restricted section (as pointed out by sharp-eyed ShannonAshley). And as Ron worried about Hagrid's direction to follow the butterflies, we now question how we are to follow the owls. Are we on a new clue hunt for whatever will get us in to Pottermore early? Or are we to await instruction from Jo when registration opens on July 31? Have clues already been hidden, maybe even many of those we excavated while searching out what Pottermore would be? Or are they yet to be revealed, perhaps hidden in the pages of her books, or among her fansites that hosted her owlery images? 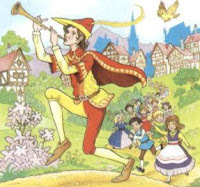 I expect that more information will be forthcoming in the next few days to help clarify things a bit, but knowing Jo, who like the Pied Piper loves to lead us on a merry chase, the whole mystery will not be cleared up until the Pottermore doors are fully open. Because as much as we like to grouse and complain, a little mystery goes a long way to fully engaging the reader and exciting the imagination...the source of true magic. P.S. - As a community, we covered a lot of theories, but I believe we hit the heart of what Pottermore appears to be. We said it did not seem like JKR's style to do some sort of massive MMORPG game, and it wasn't. By following her clues, we believed that Pottermore would be a combination of encyclopedia, gaming, and social media -- and it is! We guessed there would be backstory and fanfiction and reader involvement, and it seems to have that aplenty. So hold onto those owl counts, number theories, and possible coordinates. There's a quill missing from the Pottermore entry desk, some loose quills floating somewhere from the YouTube owl tree, and some shadowy owl gliding across the page into a darkened library of hidden knowledge. I think the mystery has only just begun! This morning, JK Rowling opened her YouTube doors and made her long-anticipated announcement sure to touch the heart of her avid readers. What fans had been speculating about for days was revealed to be an online literary site for further Harry Potter story exploration. It will be a place where author meets reader and the two can create as one. While some commentators in the lead-to of this big announcement criticized JK Rowling for appearing to commercialize her successful series for further astronomical profit, the reality ended up being far different. 'I wanted to give something back to the fans that have followed Harry so devotedly over the years, and to bring the stories to a new digital generation." 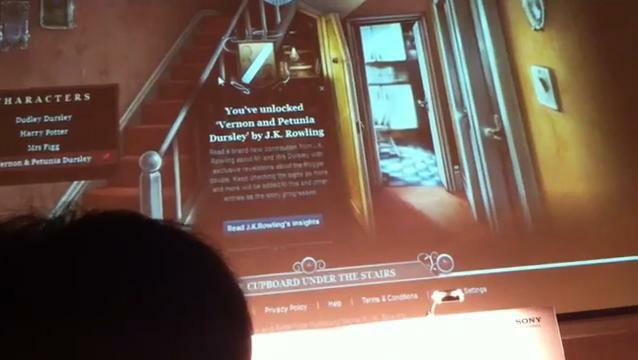 In Pottermore, fans will be able to read the backstory that JK Rowling has hoarded for years. They'll have an official sanctuary to share their own Potter fanart and fanfiction. They'll be able to not only chat with each other as they have done for years on fansites, but to somehow interact with the author herself. Jo says that she'd already written a large amount of the new material which she'll share with her readers on the site, but there will be more to come. And readers can actively engage in helping to shape the new story that will be Pottermore. "The experience of reading requires that the imaginations of the author & reader work together to create the story." "I wanted to pull it back to the reading, to the literary and story experience." Jo -- for once again showing us how important story is to the world, for actively engaging our imagination yet again, for giving to your loyal fans all their hearts have longed for for years, and for doing it all with dignity and class (even your trademarked slyness :-) -- thank you! Read transcript of today's press conference at The Leaky Cauldron! "Does leaving my email address give me a chance of early entry to Pottermore? To find out more how you might qualify for early entry come back on 31st July." See Official Press Release near end, before comments. My Analysis: It seems to me that getting in early to Pottermore will be a combination of registering first, but probably on the registration, you'll have to have found some clue. And the owls will lead you to it. She hints at the owls that were on the fansites, such as Leaky and Mugglenet. Leaky has been tweeting loads of info about Pottermore not available through the Youtube or press release. So, I imagine that we're still on a massive hunt for clues and that the images of owls will be planted online in place like Leaky and Mugglenet to help us find the way. My guess. I'm so glad we documented so much about the Youtube page here and the owls, because perhaps that will all come in handy. If I'm understanding it correctly. "It's a very sumptuous environment we've created, a very detailed environment. I think it visually very much reflects the depth of the world in the books." I'll be posting here as Pottermore is announced, as well as Twitter. I'm going to keep posting things in the article section rather than comments. So, if you're reading along, just hit refresh occasionally. I'll also be updating on my Twitter: @HP4Writers . One very cool clue just posted on Twitter that I did not catch by Tom @HPSupporters - those bottom three leaves to the left are not leaves, they're quills! And the owls seem to be looking at them, pointing their way. The quills fall to the ground, so maybe we're supposed to go find them! Thanks Tom! 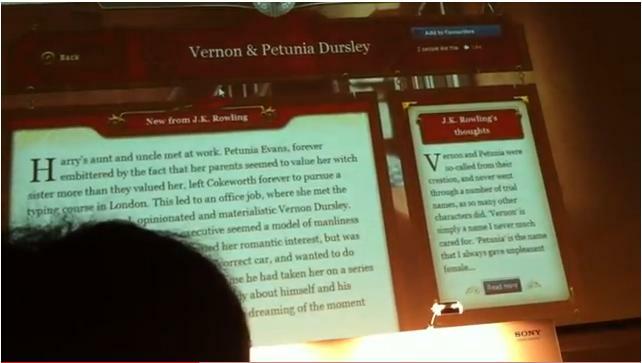 #followtheowl - so it sounds like #pottermore will include encyclopedia and backstory elements, as well as fanfiction? I have one last idea I want to share before the release tomorrow. If Pottermore IS a MMORPG, online game, as leaked reports seem to suggest, I don't think it will be set exclusively, or perhaps even mostly, in the seven-book series. With JKR's apparent active involvement in the project, and her name attached at every point, I have a feeling she's found a way to give her fans all the backstory and future-story of the wizarding world without having to write a prequel or a sequel. She could have written the storylines for the game, and some, at least, of those lines could focus on the Marauders, Voldemort's early years, James and Lily's marriage, Dumbledore's days with Grindewald, and you name it. Looking forward, if she wants to firmly stomp out any possibility of doing a new series set in the Potter world, she could have written active storylines involving the next generation. I'm still hoping for an encyclopedia component, but that could be used as tidbits of information throughout the game. I'm off. Will be here in the morning for the final reveal, blogging and Tweeting away. Join me! Multiplying Owls and a Possible Treasure Hunt?? Post already updated (twice!) with info on The Times (UK) leak! See notes in red below! One of this blog's visitors predicted today's owl count! Not only that, she did so using a way of deciphering the numbers which led to her prediction that Pottermore would be an encyclopedia. Basically what is done here is to take the number of owls each day and then chart the difference between daily owl counts, and to continue to do this consecutively, until you reach the number 101. According to Molly, 101 is code for basic information, like Biology 101, Stats 101. And basic information is an encyclopedia! This may seem a bit convoluted, but one thing that impressed me was that Molly accurately predicted today's owl count as an increase of 7, which works in this formula. Molly, if you're reading this, please let me know if I've presented your info correctly. What do you think? Does this analysis of the numbers work for you? One concern I have -- could you take any set of numbers and eventually get down to 101? But could you do it in so few steps? #PottermoreChat - tonight, 6/20 on Twitter at 9 pm EST! BE THERE! Pottermore - Are you going crazy trying to figure out what it's going to be? Is it an MMORPG? Is it an online, interactive encyclopedia? (Excuse me, online Scottish Book)? Is it social media? It is EuroPotter? Let the Games Begin! is our first post as we searched for the coordinates and pieced together Pottermore, with the beginning speculation of what it could be. Then for a couple of days, we worked on the Pottermore Trail of Clues, where we listed all the Secret Street View coordinates, locations, and most importantly, the notes, to see what we could ferret out there. My initial speculation leaned strongly toward the encyclopedia (and still hope!). Then, because the updates can get a bit confusing, and our discussion was focused more on the numbers on the YouTube site, we switched to Pottermore - The Numbers Game. Basically, I believe the YouTube site screams clues, with the date of Feb. 4 listed without a year, the frozen page views and likes and dislikes which no one can click on, the 50 videos listed that are not active. Then there's the multiplying owls, the falling leaves...JKR sure does love a good mystery! So, let's all put our collective minds together. Join us tonight at 9 pm EST on Twitter at #PottermoreChat and see if we can peer into JKR's very devious mind! :-) Maybe, we can figure it out before the final revelation! Update!, the Quill Quest has been announced. I've started a new post to follow the clues as they are released. Check here: Quill Quest is ON!! Prior thread link: contains all the Secret Street View coordinates, letters, locations, and notes! Increasing owls? More falling leaves? Frozen numbers? What could it all mean? When you look on J.K. Rowling’s YouTube announcement page, you'll notice that there are many numbers that seem to be frozen in time. One of this blog's commentators, Anonymous, has been posting in the prior thread various theories as to what the numbers could mean. I encourage you to go back and read those comments. I think Anonymous is truly on to something as those numbers are fixed, and knowing JKR, chosen for a reason, but I'm just not sure that I buy into them being page numbers in the books as page numbering changes depending on the publisher. I believe JKR IS releasing clues through the Pottermore Youtube video, and I think she gave us a heads-up with the coordinates on the Street View maps as to how to play this game. Like the StreetView coordinates, this is a numbers game, and we've got to figure out what these numbers mean to unlock her clues. 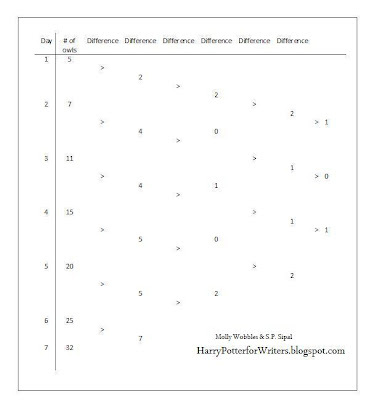 What I'd like to do here is provide a table of the numbers and then we can all throw out theories as to what they could mean, drawing from how JKR has used them in the prior books. One very strong clue -- since the video seems to be in Flash and thus you can't click "like" or "dislike," these numbers definitely seem to carry a clue. Continuing in our First Chapter Series of posts, I've decided to combine both mystery and backstory into one. The reason: in chapter one of Philosopher's/Sorcerer's Stone, the backstory IS the mystery. In an earlier post, I talked about how the great agent Donald Maass says, "Backstory is called backstory because it belongs in the back of the story." In becoming experienced novelists, we must learn to control the urge to overload our beginning with the new writer syndrome of The TMI of Backstory. However, we must not leave our reader confused, therefore SOME backstory is absolutely required. What can we learn from JKR's example? One, rewrite until you get it right. The importance of the first chapter cannot be overstated. And two, backstory is closely linked to your novel's mystery or story question. Readers are compelled to continue because they identify with the character and want to know what happens to her. This latter part of this equation, the mystery or story question, necessitates withholding information from your reader. If the reader knows all up front, there is no compelling urge to go forward. But, you never want your reader to be hopelessly confused, nor do you want her to feel cheated when your final answers are revealed. You must play fair all along. Let's see what JKR did and did not reveal in "The Boy Who Lived:"
"Young" Sirius Black lent Hagrid a motorbike (but notice how subtly that was woven in, with just a short, one-sentence reference from Hagrid and nothing more said. No reaction to draw attention to this sly reference that will be incredibly important two books down the line). Why would such a powerful and dark wizard want to kill a baby boy? How will that scar prove useful one day, as Dumbledore suggests? What are these dark powers which Voldemort possessed that Dumbledore was too noble to use (a detail nicely woven in through dialogue, I might add!)? Why does Mrs. Dursley not want to have anything to do with her sister? What did Dumbledore reveal in the letter he left with Harry? And why DID Harry survive? First, notice how JKR drops in most of the backstory as conversation between McGonagall and Dumbledore. In fact that's the real reason for McGonagall's presence on that wall -- to question Dumbledore and thus interestingly inform the reader of all that has happened. Well, not all. If you're looking for the post on numbers quoted in Intrnational Business Times and the latest in this series, it's at Pottermore: The Numbers Game! Also, even though I'd love it to be an interactive encylopedia, I'm starting to think those who believe it to be a Multi-player Online Roleplaying Exerience may be correct. Notice the letters. PotterMORE. Update 6/17: I do think she's planning on stringing us along for a whole week, revealing one new clue each day. I'm eager to see what today's holds! I bet somewhere down the line she'll include a reaction from one of the fansites who have viewed Pottermore. JFeijten -- Of course I truly don't know, I'm guessing along with everyone else, it just makes sense to me from my understanding of how JK Rowling works. For many years I've studied her writing techniques, and one of the key things she excels at is slyly hiding clues to her mysteries, stringing them along throughout the stories, and keeping the reader guessing. Back when she was releasing info during the series, like the next book title or a cover, she played a game with the reader to obtain that info, but then the cover or title was released immediately. Why would she play this game and keep us looking at an empty website a whole week before revealing it? My guess is because she has more games to play with us during that time. I could be wrong, but I suspect she'll reveal at least a couple more hints before the big reveal. She builds excitement and tension so much better that way -- just like in the books. Update 6/16: JK Rowling has released a Youtube video that essentially just says, wait 6 more days! The owls are gathering? It's all in her name rather than Warner's? In her world, owls gather to spread the news. Please let it be something that includes the encyclopedia! Six more days would be around June 22. Isn't that the solstice this year? goes to check...No, solstice on 21st. So, the colors remind me of right before dawn...the owls are watching...The first sign of magic in Philosopher's/Sorcerer's Stone was an owl. The owls are gathering to carry the news at the dawn of a new day in Potterdom. But what exactly will it be? Maybe it's wishful thinking, but I favor the encyclopedia idea myself. I think it will be a virtual, interactive online encyclopedia that will give her fans MORE of all the Potter facts, references, and trivia that she could not work into the books. Speculation Time (Update 3): Ok, the puzzle has been solved, but we still don't know what Pottermore is. For some reason, because it has JKR's signature on the website, I do not see it as being an RPG or social media or theme park. The registration could be a red herring. Could it be the Harry Potter Encyclopedia but released as an interactive website rather than a book? Think about how JKR released the clues -- various fansites from across the world in many languages each containing a note that related to the books, magical creatures, or fandom -- all of which would be part of an encyclopedia! JK Rowling said that fans wanted MORE details than she could have provided through the books. Is she putting it all there in a virtual environment? Continuing in our First Chapter Series of posts, I now enter JKR's delightful and amazing portal to world building. Before Hagrid takes Harry to Diagon Alley, JKR shows the reader through this first chapter that the exciting, enchanting wizarding world is only diagonally separated from the Muggle. 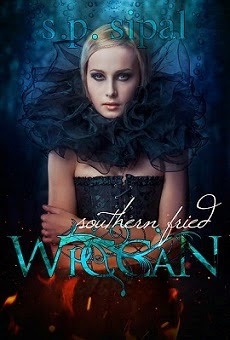 Here is a fantasy where reality and the imagined world co-exist, but are not mingled as one. The secret world, the shadow realm, is a place hidden away in enchanted castles, inner-city streets, and all-wizarding villages. Still, when momentous events occur, the colorful spells shoot like stars into the air, the messenger owls fly to and fro, and the odd and cloaked wizards hug unsuspecting and unappreciative Muggles on the city streets. Whether to drop your reader full-force into your created world, or gently nudge them in that direction as JKR did, will depend on your genre, story and tone. While stories set in your readers' contemporary real world have less foreign elements to introduce, the writer must still uncover the unique details of the specific location her characters inhabit. On the exact opposite end of the world building pole, writers of entirely created fantasy realms have an entire arsenal of details to acquaint their reader with. In my prior post, Time-Turning Back Seven Books, I set out to analyze the first chapter of Philosopher's/Sorcerer's Stone to uncover any secrets which can be gleaned regarding the catalyst that started the Harry Potter series on its initial rise. So, let's start the ball *rowling* with characterization! For an overview -- this beginning chapter is constructed in such a way that the reader is first introduced to the slightly-exaggerated and repulsive Muggle family, the Dursleys. Although a couple of magical people or groups are sprinkled in through Mr. Dursley's work day, it is not until he turns the lights out at night that the three main wizarding characters step onto the scene -- McGonagall, Dumbledore, and Hagrid. By setting it up this way, JKR juxtaposes the characteristics of small-minded Muggles against the exciting wizards. And, as discussed in the first post of this series, by describing the Muggles with an intimate note of disdain, JKR prepares the young reader to identify strongly among the way cooler wizards. I have a whole post on hooking your character, so I will only cover it briefly here. Hooks are an interesting detail that helps the reader visualize that character and distinguish him from others when first being introduced. Hooks are somewhat simple because they are most effective in the beginning, before the deeper character development has truly taken off. Notice how references to the characters of the Dursleys are woven throughout here and there -- Mrs. Dursley spying on neighbors, then later, her fear of anyone learning about the Potters. Mr. Dursley ignoring, in fact almost praising, Dudley's temper tantrum, then later his anger at the funny-dressed people. These examples of Mr. and Mrs. Dursley's character are woven in throughout the first half of this first chapter, with each example giving the reader a bit more understanding of who these people are. When introducing a character to your reader, it is very tempting to tell the reader ALL from the first page. As writers, we've generally spent a very long time creating and getting to know these figments of our imagination, and we want our reader to love them as much as we do. So, we oftentimes flood our story with all we know as soon as possible. But, this tendency leads to telling rather than showing. As actions speak much louder than words, the reader will get to know your character much better as they see her in action. So, while some initial description is necessary by way of introduction, try to keep it to a minimum, and be as creative as possible with it. By far, the most effective way to let your reader and your characters get acquainted is by weaving in all those wonderful tidbits you've thought up naturally through the course of the story. And the most interesting techniques for weaving in character is through bits of action or dialogue. I don't know if there's another way of naming these things, but action tags are the brief narrative descriptions between dialogue that inform the reader as to who is talking now. Unlike the standard dialogue tags (he said, she whispered), an action tag shows action, but because of its location right before or after dialogue, also informs the reader that the person acting is also the person speaking. Action tags are a great way to weave more action into your story as well as to develop character. Word counts are decreasing. Now, more than ever, you want to get the most bang out of every word you choose. Optimize your tags by making them pull double (or triple) duty. Action tags that build character do this. If you post a review of your own novel, not many people are going to pay attention. But if someone else posts, readers will notice. Likewise, readers will be much more interested in what characters have to say about each other rather than how the author chooses to describe her babies. For JKR, McGonagall's role in this first chapter is largely to give voice to a lot of character description (as well as backstory) that otherwise could not be written as dialogue without her presence. Thus, McGonagall's interrogation of Dumbledore puts so much of the necessary narrative info into interesting dialogue. Think of how much more effective it is to have McGonagall voice her reaction to Harry being left in the care of his aunt and uncle. Her disdain for this Muggle family immediately helps the reader to sympathise with Harry better than a narrative lay-down would have done. Plus, she verbalizes a great, active example of Dudley kicking his mother for sweets. Before Hagrid roars onto the scene, the reader is given a heads-up through McGonagall concerning his character. First, he's late. Then, McGonagall's voices her dismay that Dumbledore trusted him with Harry's care. Dumbledore's assertion that he would trust Hagrid with his life lets the reader know Hagrid is a complex man viewed in a contrary manner by differing POVs. Thus, we are put on high alert for the appearance of the flying motorcycle and the giant, wild man himself, whose "feet in the leather boots were like baby dolphins." Really! I would never have thought to describe feet as dolphins! Finally, this argument between McGonagall and Dumbledore about Hagrid's trustworthiness and Harry's placement with his aunt sets Dumbledore up as someone who thinks differently, more deeper, than the normal person. JKR did not have to TELL the reader any of this; she showed it through the words of McGonagall. This concept is very simple. How characters act and how they respond to the situations around them should contribute toward their character development. In other words, a character should always act and respond in character (unless so provoked that it forces them outside their comfort zone). Mr. Dursley, when spying people on the street wearing robes, gets angry. Mrs. Dursley sips her tea through pursed lips. Dumbledore, in the midst of a very serious conversation, offers McGonagall a lemon drop. McGonagall arrives on Privet Drive in the early morning as a cat. She sits on the Dursley gate all day, spying on them, waiting for Dumbledore's arrival. Dumbledore arrives in the dark of night, appearing suddenly in a darkened corner. He uses a curious silver instrument to extinguish the lights, and instantly sees through McGonagall's disguise. Hagrid arrives on top of a flying motorbike, cradling baby Harry in his arms. JKR uses one action to show us three varying responses from her characters, which help the reader understand their differing personalities. This post is not meant to be a comprehensive listing of all the techniques JKR uses in this first chapter for character development, but it gets us started. What other techniques have you spotted? 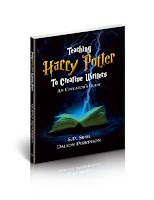 My Writer's Guide to Harry Potter workshop is now available on Kindle! I'm glad to offer this e-version for people who can't make my in-person or online workshops and prefer something they can upload on their Kindle and read on the run. I'm also working on getting it on Smashwords so that it will be available for other electronic readers. And remember, if you want the workshop with feedback, check out my Get the Workshop page where I also offer a PDF download! Where did the magic begin? Is it possible to go back and look at the inception of Harry Potter to discover exactly what technique it was that, with a flick of her wand, made JKR's story rise so far above all those other magical fantasy stories which had come before? As writers, we are told that we either win or lose our audience within a few first pages. 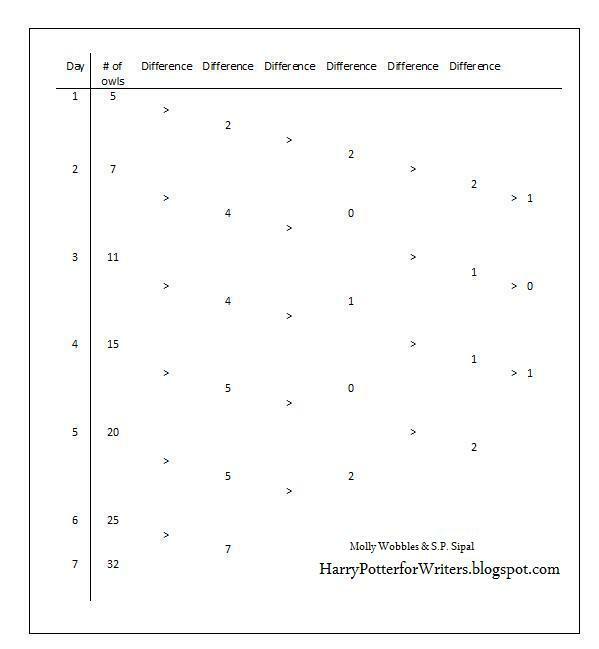 Can we look at JKR's first 17 (23 from Bloomsbury) and find that extra savory morsel that lured her readers in with such large numbers? This post started out as a long analysis of chapter one of Philosopher's/Sorcerer's Stone as it is here that the world-wide publishing phenomenon began. That is not to say that the WHOLE reason for why Harry Potter achieved the heights that it did can be found here, but rather the seed. From this seed, as JKR enhanced her craft and deepened her tone, Harry's story sprouted roots and shot forth, encompassing an ever-widening audience, until it blossomed into the phenomenon that it still is today, even four years after the release of the last and final book. With Harry Potter, and in particular this first chapter, it is hard to decide which is greater -- the world building or the characterization. Both are freshly and genuinely developed and draw the reader into the story, but neither of them are at full-force in "The Boy Who Lived." One of the most important mysteries you should be pushing your reader to discover is the compelling backstory you’ve withheld. Think about JKR. Her masterful withholding of backstory -- what actually happened in Godric's Hollow, which side was Snape truly on, and why did Voldemort want to kill a one-year-old baby -- is the energy that thrust the reader not only through the first book, but the next several to come as well. One huge reason Harry Potter was such a phenomenal success was due to JKR's witholding of backstory. She did not release it until her readers were beyond dying to know! When unloading backstory, at least in the beginning of your story, less is more. Withhold as much as possible without leaving your reader confused. Explain just enough to have the current action make sense but to keep a question pushing your reader onward. 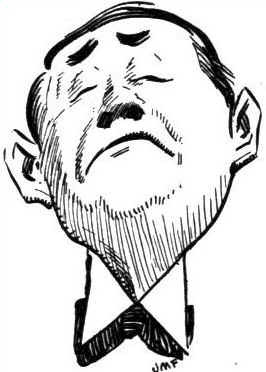 Then, dribble the backstory in as necessary, in bits and pieces, carefully woven in. Preferably, release enticing nougats in dramatic ways and only after the reader's curiosity is at a fever pitch.